Now in its third edition, this classic guide is expanded and updated to feature new material on dealing with trauma and devastation, addressing violence in schools, helping grandparents cope as caregivers, and an enlarged quick-reference "Crisis Section" with scripts, answers, and messages for young ones. 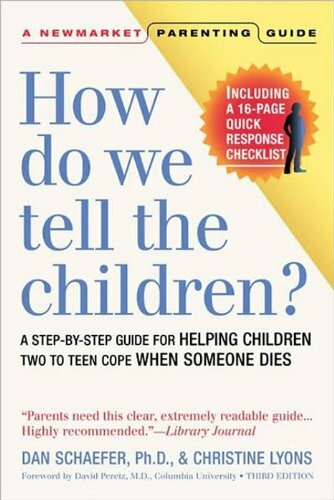 Dr. Daniel Schaefer, working with child psychologists and trauma experts, and drawing on more than three decades of experience with families in crisis, has put together a practical guide for anyone who works or lives with children-parents, caregivers, counselors, or teachers-for dealing with children's inevitable questions about loss and change, life and death. He informs adults how to help young ones cope with the trauma of loss and offers time-tested, valuable advice on how to explain and console children in a language that they can understand. The book includes sections on what children think about death; explaining death to children; fear, confusion, and sadness; grief and healing; the funeral and saying good-bye; talking about AIDS; and talking to children with mental illness. About David Peretz (Author) : David Peretz is a published author. Published credits of David Peretz include How Do We Tell the Children? 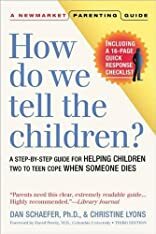 : A Step-by-Step Guide for Helping Children Cope When Someone Dies, Third Edition.